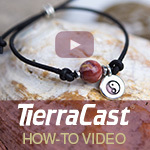 I featured the wonderful resin jewelry video tutorials by Little Windows before. 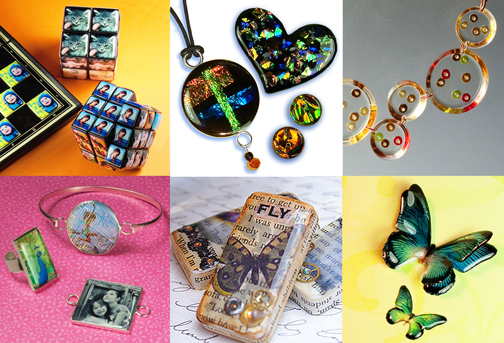 If you're interested in resin jewelry making, they are certainly worth a good look! 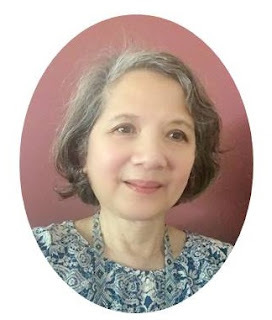 Now Fran Valera is back with a special $50 gift certificate for one lucky winner! 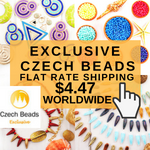 The online store not only offers custom jewelry but it also caters for those who wish to make their own. So there are kits, resin, molds, doming trays etc to get you started. But what first attracted me to her site was the excellent free tutorials, both video and PDF and lovely inspirations. Her blog is also worth a visit as Fran includes some great customer designs. It's not just about photos either. This lovely bubble necklace inspiration shared on her blog has embedded beads. As Fran pointed out, the clear nature of the design is attractive for all sorts of things - "great for sun catchers, earrings, lampshades, whatever!" Another simple embedding idea is for steampunk designs. One of the most stunning applications using Little Windows' products are the Kaleidoscope pendants created by Jeanie over at Kaleidoscope Collections. Jeanie used her Kaleidoscope software program, the Kaleidoscope Kreator, to convert pictures into complex patterns. 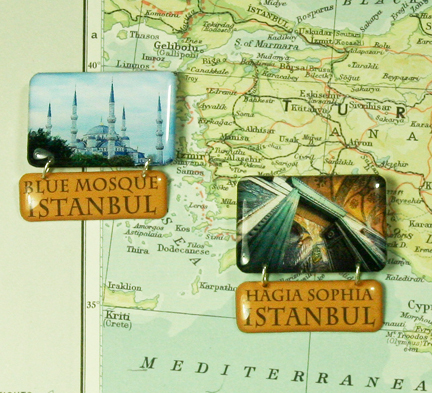 These were printed out on special photo paper and then turned into pendants using the casting and doming techniques. You can also make all kinds of things based on the resin technique. For example, bling for your fridge - otherwise known as fridge magnets! I really liked this travel memento idea from her blog. 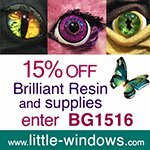 Little Windows is also offering a 15% discount on everything any reader of this blog orders. The code to use is TBGJ15. If you wish to try your luck for a Little Windows $50 gift certificate, please make a comment below. Make sure you leave contact info if you do not have an online shop or blog. Extra entries if you become or are a blog subscriber or follower oetc. If you also do shout outs about this giveaway on your favorite forum, those will count as additional entries too! Please say so in the comments. It ends in a week's time at 6 pm EST Monday, August 6, 2012. I will pick a winner randomly and announce the results as soon as possible after. So be sure to leave a contact email if you don't have an online link or make sure you come back and check! Otherwise I will redraw in a week. Good luck! What a great contest! I love her designs. Would love to win this give away! Looks like resin would be lots of fun to use. I love her work--resin is such a versatile and fascinating medium. Would love to win---molds would be a great expansion to what I've already tried with resin!! There are such great ideas here! I'd love to start working with resin. thank you for the great giveaway. I follow you on the fb (Mary Marshall)I get your lovely blog in an email and I will be linking to this on my fb too. I'd love to win - I've been wanting to play with resin.. I would love to win this contest because I have never tried Resin Jewelry but this would get me a head-start! wow those designs are so pretty! i'd love to win, but may end up buying a kit even if i don't! I'm an email subscriber to the blog, but I would love to get another shot at winning this giveaway by leaving a comment. 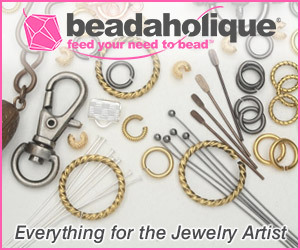 I would immediately get a beginners set of supplies and try some suncatchers or pendants. My email address is jan.neff@ymail.com. I have tried resin work before but your video has answered many of my question, Thank you and thank you for a chance to win more supplies maybe now I can make a better necklace. what a great give away! I am a follower, I tweeted and shared on face book..
My sister and I LOVE Little Windows and use nothing but her resin in our jewelry products! It is awesome stuff! I'd love to win a gift certificate! Thanks for the opportunity to win! I love resin and would love to win this prize! I am a follower of your blog! I would love to try it. Looks like you can do so much. This looks like so much fun to do. What a nice website!! Please add me to the list!!! This would be so much fun to play with. I would like to try resin. I have not tried resin yet, it is on my must do list. Have been hesitant to try two part resin. This looks so much easier and faster. What a great offer. Her designs are inspiring and creative! I am dying to try resin and this would be the perfect opportunity to do so! 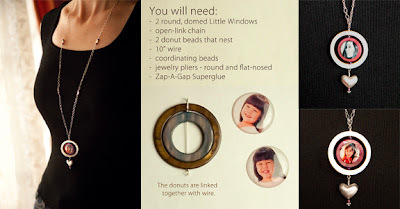 Love the designs and I am going to sign up for the mailing list. I would love a chance to win! Looks like a fun product. I would love to try resin and so being chosen for the giveaway would be great! Thanks!! Amazing stuff! I want to try this so bad!! Thanks for the opportunity to win a chance to do so. Wow! Can't wait to try some of these! Ever since your last post about Little Windows, I've been wanting a lot of their stuff! It would be so awesome to win this so I could get started on resin. I have some artwork I created years ago that would be perfect for this technique. I'm dying to try it! Thanks for this drawing! 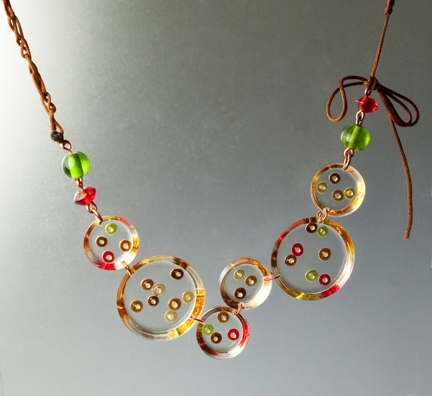 Her work is beautiful--I especially love the necklace with embedded beads! Gorgeous. Something I would really like to try! I'm a blog/Facebook/Twitter follower, and I'm about to go do a shout out on Twitter right now!! I met Fran and her daughter in June at the Bead and Button Show in Milwaukee. 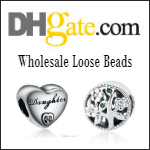 They are so kind and gererous with their information and their products are the finest quality. What a great new craft to learn..just in time for Christmas. Hope my stuff turns out as lovely as yours! What a timely post. I bought some resin to try just last week. I'm so looking forward to checking out her tutorials and products. Thank you once again for a great giveaway! Ooops I forgot to mention that I'm a subscriber, fb follower and shared it. Thanks again. Thanks for the opportunity! I have been wanting to try this product for a while. I also LIKED your Facebook page & Little Windows'. Thanks again! I'm already a follower of this blog and like the FB page, but would love to have a shot at winning a Gift Certificate. I sure could use some resin! Wow she has a lot of clever techniques! I'm inspired! I'm a FB follower, a Twitter follower on 2 accounts, and an email subscriber. The closest I've gotten to resin work is when I use two-part epoxy to bond things together, but have always wanted to give resin casting a try. Little Windows' resin sounds ideal; not toxic and no odor (I can't stand the odor of the epoxy that I use and I'm usually just mixing a few drops of each of the resin and the catalyst). I am a follower of your blog and on facebook. Went and put this on my Facebook and will share it with some of the Groups I belong to as well. I would love to try making some resin jewelry. I just adopted a baby girl and this would be great. 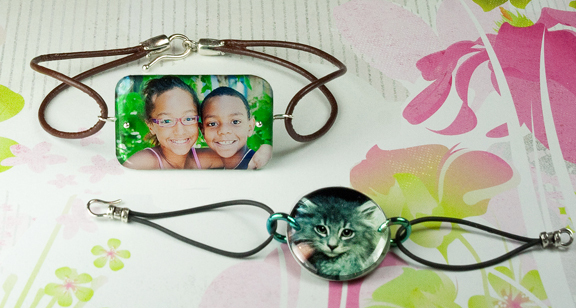 Love how you can personalize your jewelry this way. Haven't tried resin yet, but think I'll check out her tutorials. 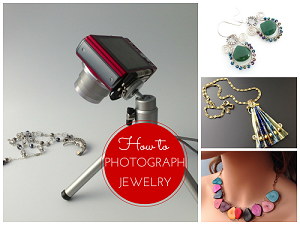 I would love to win and give this a try... would love make photo jewelry for all the women and girls in my family!! This is great. 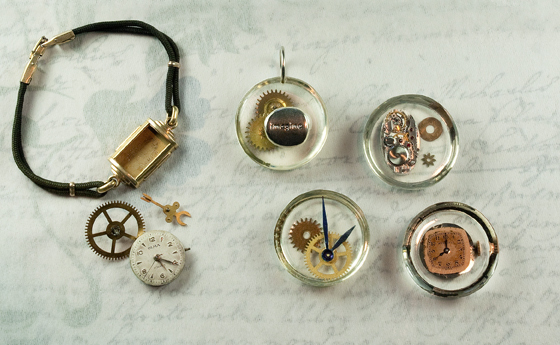 I've been wanting to try resin out, and I love the steampunk items embedded in the resin. This would be a great way to get started. Thanks. What great ideas for a timeless product! Very generous giveaway! I'd love a chance to try Little Windows resin. My email is on my Blogger profile. I'm already a follower. Love your forum! I've shared on my blog. Thanks for sharing this, Pearl! Love the products! Thanks for the giveaway! The contest is great, and I'd like to have a chance to try something new for me! I'll share and post wherever I can. Thanks!! Also, love your blog and all the valuable information and tips I've learned from you already! I have wanted to try resin. I love the positive things about this product! Tweeted and shared on FB! What an awesome give away!! 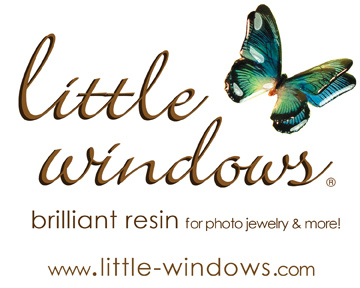 I've never heard of the Little Windows brand - thank you for introducing me to something new and such great ideas for working with resin! Have been wanting to try ice resin so this would be awesome to win! Thanks for the opportunity! Love a chance to try ice resin!! How great this project would be to do!!! I can see all kinds of things I would put in a window. Thanks for sharing this. I have used her resin in the past, and it is FABULOUS! I love how fast it cures! I would LOVE to get some more! Wow! A non toxic resin that looks that great?! I love it, and would love to learn how to use it! I has always wanted to learn to play with resin. This prize would be wonderful encouragement. I tweeted. I just love that word. this giveaway would give me the opportunity to learn a new art form. I just ordered my first products from Little Windows and my brain is exploding thinking of what I'm hoping to do!! LOL! That shows how creative you are. Have fun!